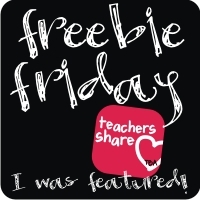 Smarter Balanced Teacher: The Dreaded Day After Halloween...Write All About It! The Dreaded Day After Halloween...Write All About It! Halloween is upon us. More importantly, the dreaded Day After Halloween is coming! What do you do when 24 second graders are jacked up on candy, too little sleep, and "what were you last night" conversations? I say roll with it! Halloween is one of my favorite holidays, and no, it's not about the candy. Truthfully, it's because when I was a little girl, Halloween was when they started putting out the Christmas decorations in stores (now that's around back-to-school time). Kids are excited! They want to tell everybody everything about Halloween! Turn it into a great writing opportunity. I always tell my kiddos, "If you can tell me about it, you can write about it." So, toss your writing plans for the day. Take advantage of authentic motivation. Let students write what they dressed as, how much candy they received, how many houses they visited, how late they stayed up, and all the rest. In fact, let them do what comes naturally...exaggerate! That's right - make November 1st the "Official Halloween Tall Tales Day". It's the perfect time to teach about exaggeration, personal narratives, incorporating adjectives, vivid verbs (I think adverbs should be outlawed - if you need one, you haven't used the right verb), and summarizing. Here's another idea - let your students draw, rather than draft, their stories. 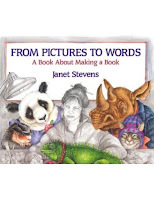 I adore the book From Pictures to Words, by Janet Stevens. It's her own story of how she writes books, using pictures first. Your jacked up, candy-high kids might not be all that into listening to it, but you can read it in advance, and teach writing the Janet Stevens way...use your pictures to spark your stories. No matter what you decide, good luck, but seriously, let's work on getting that new holiday started. Who do you call about declaring a national holiday, anyway? Scarecrows, and Apples, and Pumpkins...Oh My! Whooo's Afraid of Common Core Math?